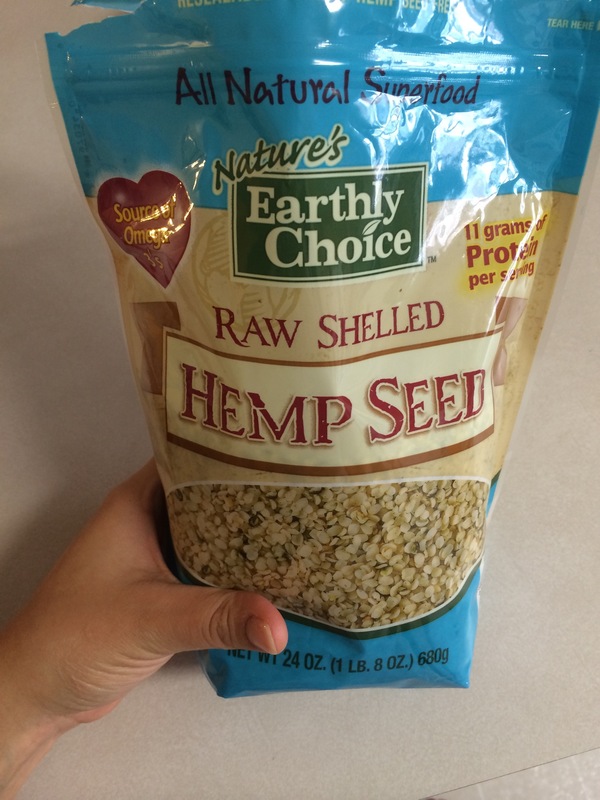 I’ve been wanting to try hemp seeds for awhile now. I am constantly trying to find ways to sneak extra protein into our diets. 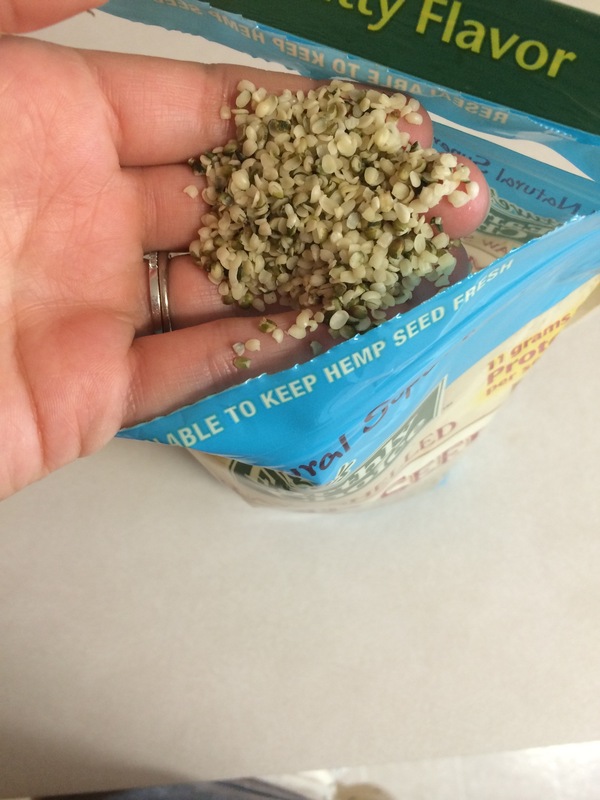 A serving of hulled hemp seeds (approximately 3 tbps) has 11 g of protein! In addition to Omegas 3 & 6, hemp seeds also are a good source of zinc, iron, and magnesium. Check it out. They added a very slight nutty flavor to our smoothie. I added about a 1/3 cup to the blender, which yielded two 6-8oz. smoothies. 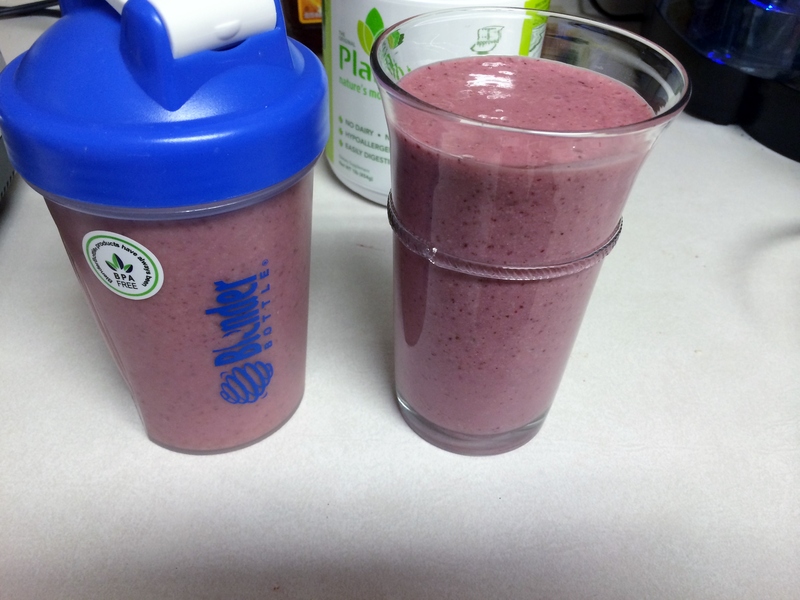 It blended up very nicely, I did not notice any grittiness or additional thickness to the drink. According to Shape.com, it is almost a complete protein except that it is low in the amino acid lysine. Hemp protein supplements are unlike a traditional whey protein shake, as they contain an appreciable amount of carbohydrates (9g) and fiber (8g), making them more of a base for a meal replacement shake or snack than a pure protein shake. 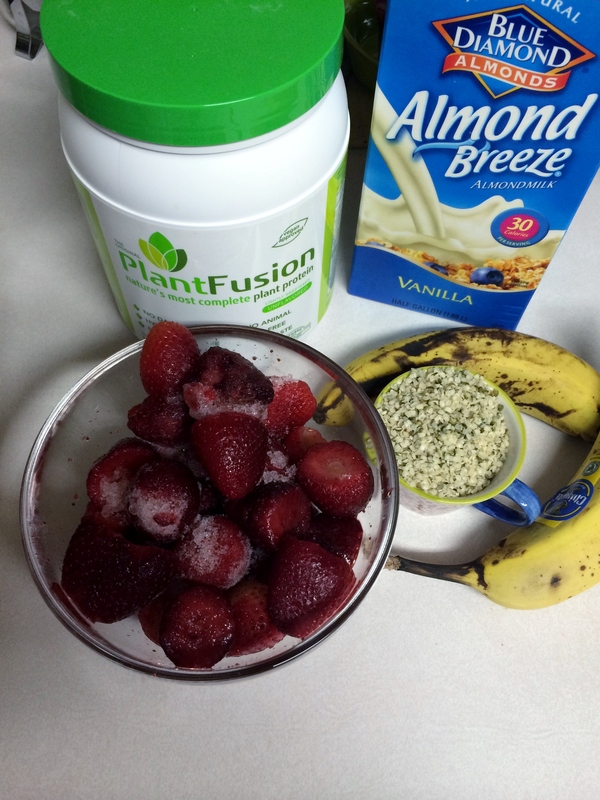 We have been using Plant Fusion protein powder for several month now. Typically the unflavored, sometimes the vanilla. One scoop adds 21g of protein. I will usually only add one scoop to the blender though, which we split into two 6-8 oz smoothies. If use frozen strawberries, defrost 2 minutes in microwave. Add strawberries, bananas, and milk alternative to blender. Blend until smooth. Add protein powder and hemp seeds. Blend until smooth. Can be enjoyed immediately or can be refrigerated up to 3 hours before consumption. What else can I sneak these yummy protein-bombs into?